Our grants fund deserving organizations, individuals, and teams to promote sailing, racing competition, and maritime education. Most grant applications are submitted for a particular event or a series of related events that last over an extended time period. The primary purpose of our grants is to help fund individuals’ travel expenses related to out-of-town regattas. In some cases we fund coaching or other support. We seldom approve grants for the purchase of sailing equipment. 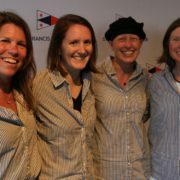 The St Francis Sailing Foundation (StFSF) is a 501(c)(3) charitable organization with the mission to raise and grant money to deserving sailors and organizations that promote sailing, racing competition and maritime education. 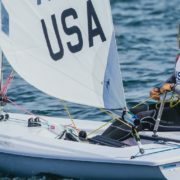 The St Francis Sailing Foundation promotes competitive sailing and US Olympic Sailing Team development, with support of serious Olympic athletes, beginning Olympic hopefuls, and junior sailors. We provide grants to the US Olympic Sailing program and co-sponsor high performance youth training clinics. Additionally, we support organizations that put thousands of underserved youth and disabled sailors on the water in enrichment programs that teach both sailing and life lessons utilizing sailing. Recent programs have also woven science, technology and math into the sailing experience. How does the Foundation accomplish this worthy mission? Under the leadership of founder and benefactor Tom Allen and continuing to the present, the Foundation appoints a Grants Committee that reviews every grant application and makes funding recommendations to the Board of Directors. The Grants Committee is comprised of StFSF Directors who are active in the sailing community. Their credentials include former members of the US Olympic Team, Collegiate All-Americans, senior leaders of the StFYC, and leaders in the Bay Area sailing community. Not all are active racers. In order to keep appropriate separation between the StFYC and StFSF, non-StFYC members participate in Foundation grant reviews. Each year the Grants Committee reviews the granting priorities of the prior year, the grants made, and how those grants fit into its priorities. Then the whole Foundation re-weights the priorities for the coming year. Consistent with our mission statement, the Foundation concentrates its grants on Bay Area applicants and young sailors. It judges all new grant requests on their merit, their priority category, and how the grant might contribute to the sailors’ or organization’s future success. What are the Foundation’s current grant priorities? StFYC junior programs, including scholarships to its youth programs, High School sailing, outreach, and new programs that require seed money to prove their worth. Organizations, especially those that reach out to underprivileged youth sailors such as Treasure Island Sailing Center, Alameda County Sailing Center, SF Whaleboats and Sea Scouts, Pacific Coast Interscholastic (high school) Sailing Association, and Call of the Sea. The Grants Committee seeks ways to support introducing new kids to sailing and then helping them develop. It also supports the most competitive of them to reach their highest goal, including that of an Olympic Medal. The Foundation is Bay Area focused, but not to the exclusion of worthy outside individuals and organizations. In our discussions about grant applications, we regularly ask what our donors would like us to support. Plus, we think about what our mentor and benefactor Tom Allen would say. He was an altruistic supporter of Bay Area sailing, the man who gave us our start, who helped develop our mission, and added to our endowment. The Foundation BOD thinks it is on the right track, but appreciates input from all its benefactors. The Foundation Grants Committee meets quarterly to consider grant applications that have been received during the preceding three months. Deadline for grant submission will be the first day of each calendar quarter (April, July, October, and January). Within two weeks of our quarterly meetings, the Grants Committee will respond to each applicant. If a grant is approved, our grant administrator will reply with a proposed grant agreement and a check for the amount of the grant. Other related administrative matters will be handled via email. Each grant recipient must agree to use the funds only for the purposes described in the application, to return any funds not expended, to submit receipts and/or documentation supporting budgeted expenditures, and to submit a brief report at the conclusion of the project, including photos, if available. The Foundation will feature grantees on the website and include updates as provided by the grantee. The grants committee may be reached at grants@stfsf.org.